The All India Society for Electronics and Computer Technology (AISECT) – India’s leading social enterprise working in the area of skill development – has recently partnered with the Andhra Pradesh State Skill Development Corporation (APSSDC) and Government of Andhra Pradesh’s Department of Skill Development, Entrepreneurship and Innovation for implementation of the Sector Specific Employment & Placement Linked Training Programme for backward class category candidates in seven major districts of the state. Under this partnership, 270 candidates will be trained in three specific job roles, namely CRM Domestic Voice, Accounts Executive (Recording & Reporting) and Accounts Executive (Payroll). The free of cost training will be held in Guntur, Penukonda, Gutti, Cudapa, Penumur, Chittor and Nandyala districts of Andhra Pradesh. In order to offer quality training, there will be a maximum of 30 candidates in each batch. The candidates will also receive a training kit, which would include a bag, training module, pen and notepad. Depending on the job role, candidates will have to undergo 100 to 400 hours of training over a period of one to three months. After the completion of the programme, the candidates will be assessed through the Sector Skill Councils of India. The minimum educational qualification required for a student to be eligible for the programme is class 10 pass for CRM Domestic Voice job role and graduation in commerce or allied subjects or a diploma in commercial practice for accounts executive (payroll) and accounts executive (recording, reporting) job roles. As APSSDC’s training partner for this programme, AISECT will be responsible for the placement of a minimum of 70 percent of the trained candidates after successful completion of the programme. To achieve this target, the organisation plans to organise Rojgar Melas and connect the trained youth with potential employers. This is not the first time that AISECT is conducting a skill development programme in Andhra Pradesh. 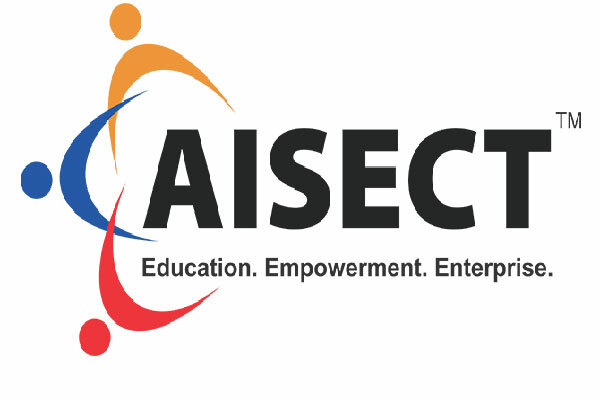 The Bhopal-headquartered organisation, which has been empowering semi-urban and rural regions of India since the last 33 years through quality ICT and skills based education and services, has till date provided skills training to over 500 people in Andhra Pradesh through more than 20 AISECT centres spread across the state. In partnership with APSSDC, AISECT is implementing various training programmes for General, OBC and SC candidates. The organisation is also providing vocational education in 38 schools Andhra Pradesh. AISECT recently allotted a new target of 240 candidates under PMKVY 2.0 in Andhra Pradesh.